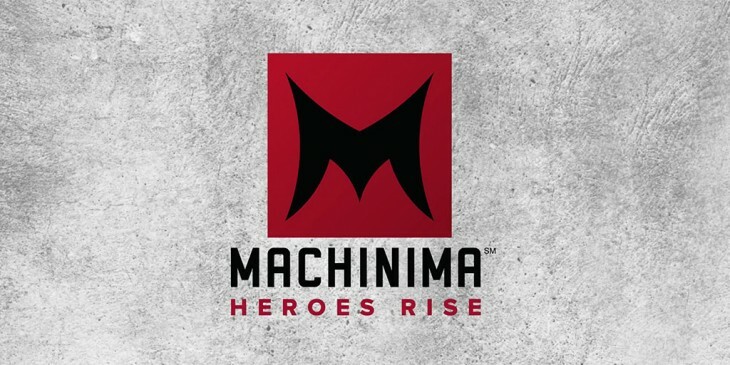 Machinima is one of the most popular hubs for gamers to get their media fix – their YouTube channel is full of original animations made using videogame models, as well as general content concerning a variety of fandoms. Today, the company announced it is initiating a re-branding process. The changes include a redesigned logo and as well as a new tag line beneath it: “Heroes Rise”. A little cheesy, but it invokes the gamer mentality they’re going for. The company is also introducing a number of new tools to help its creators better connect with their audiences. Everyone on the network is getting access to a new management system called ‘Console’, which works as a hub for earnings reports, social tools, and analytics data. For those who needing more control, there’s the Level Up Talent Program. The program is tiered for different levels of support depending on the creator’s clout, ranging from special analytics and DIY tools on the lowest tier to access to one-one support and promotions for special events on the highest one. Additionally, Machinima is also introducing ‘Legion’, a research panel made up of 10,000 viewers. It essentially works as a sample audience creators and advertisers can pull information and reaction data from to improve content engagement. Original prgramming outside of traditional media like television is growing increasingly more popular, and Machinima is clearly hoping to grab hold of the extensive gaming audience it’s already built. The new tools could perhaps help them expand to new audiences as well.